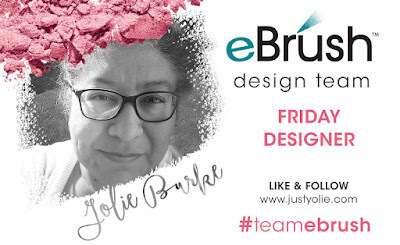 Happy Friday, this is Yolie with the for Team eBrush. We continue to showcase our November sponsor, Dreaming Tree . 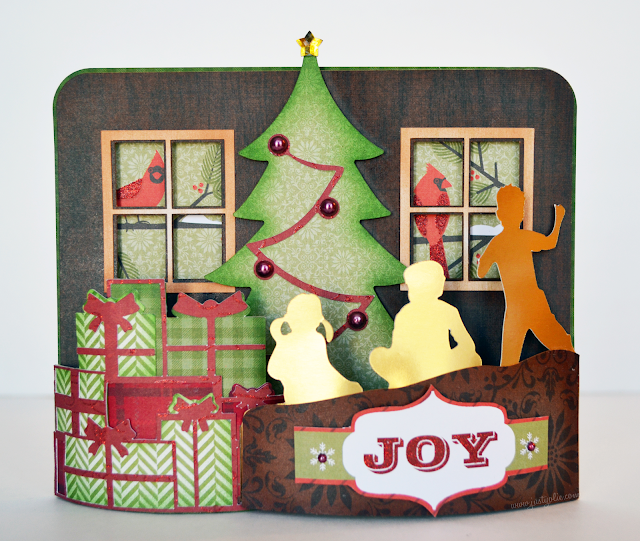 Today I'm sharing a Christmas Morning scene from the new Christmas Bendi Card Collection. The collection has 3 different designs and are available to purchase as single designs. 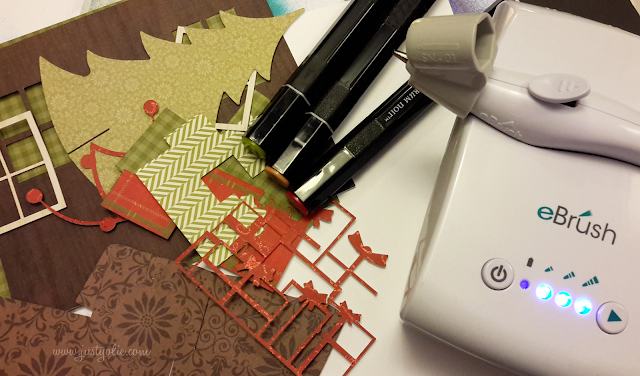 I used the perfect paper for my Bendi card The Merry Memories Stack by DCWV. I used the eBrush with Spectrum Noir markers for shading, you will also need your favorite liquid glue and embellishments. 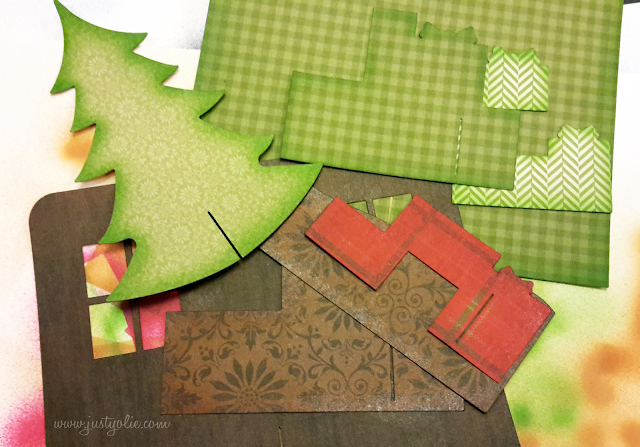 The Bendi Card Collection are meant to be mailed, however I cut the design larger to use for Christmas decor. Here are all the parts of the cards shaded and ready to be assembled. 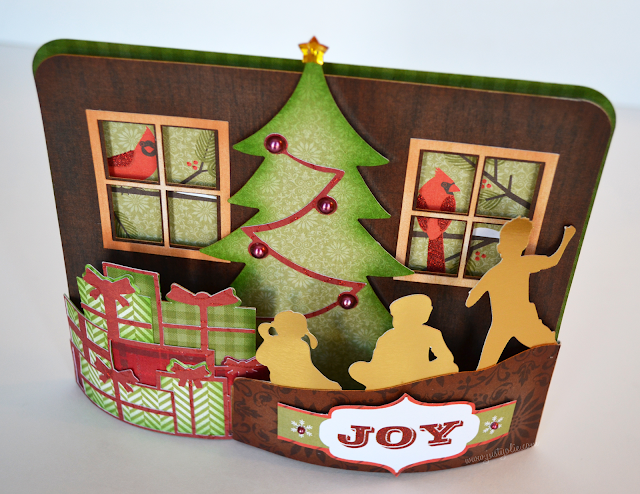 The card is easy to assemble, but if you should need a little help, Dreaming Tree includes detailed PDF assembly instructions and step-by-step video with all of their collections. Here is another view. I used pop dots on the wood panel for even more dimension. I used gold foil paper to cut the children silhouettes, a little difficult to capture, but it looks great in person. The file comes with Mom and Dad silhouettes, but I prefer to have unsupervised children on Christmas morning.